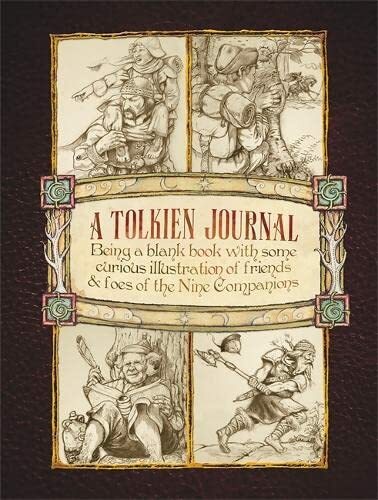 Aspiring writers and Tolkien fans everywhere will be inspired by this fantastical journal. Harkening back to a time of quills and parchment in the magical world of Middle-Earth,A Tolkien Journal is the preferred means for a Halfling to record his thoughts and adventures. Now available to humans and with amazing half-tone illustrations on nearly every page, A Tolkien Journal is the perfect enchantment for your writings and musings. The record-breaking The Lord of the Rings trilogy of the early 2000s developed an entire new fan base. A Tolkien Journal is set to release to coincide with the release of the trilogy's prequel, The Hobbit: An Unexpected Journey on December 12, 2012.